For all that I found charming and original in this book, I was also frustrated throughout. Where it succeeds most is in its mythos. The mythology of the Guardians is beautifully crafted. Their rituals and philosophy and indeed their whole way of life are all fascinating, and discovering them through Aoife’s eyes makes them accessible. Each story of Egnis the dragon, Ingot the dwarf, and Azul the orphan is beautiful and the way these tales echo through the real world captivates. Domingue writes tantalizing glimpses of the dragon and her realm, and Aoife’s path to reach the dragon is one of magic–both within the story and in terms of storytelling. Description is rich, and social commentary is never preachy. The book makes beautiful arguments about how different points of view can cast situations in different ways. The Guardians live in a communist Utopia, while the kingdom seeks to gain wealth and land. The Guardians accept any orphan, actual or metaphorical, into their community and expect nothing in return. “The Guardians saw linkages, not lines,” Aoife tells us. These linkages allow Aoife and the Guardians to traverse vast distances in no time, and to offer empathy where the people of the kingdom would seek only gain. Brilliant, the break between the two halves of Aoife’s life allows for a linkage between these two worlds for both Aoife and the narrative. Her struggle to accept all that she has left behind adds depth to her character. Indeed, she is a fleshed out, wonderfully human, sometimes difficult to like character, and she is one of the best parts of the book. 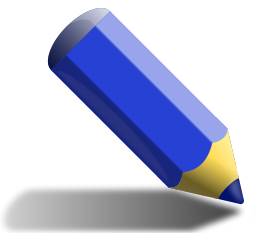 Most other characters, unfortunately, are diminished to character sketches or two-dimensional character types. Of course Wyl is the goodhearted but weak-willed prince, and Raef is immediately identifiable as the villain. Aoife’s second love, the Guardian Leit (pronounced “Light”) is good in spite of something terrible he has suffered and still bares the burden of. Their daughter is, of course, a prodigy, more magical and powerful than anyone has ever seen before, veering dangerously close to “Chosen One” tropes. Aoife’s brother Ciaran has no discernible personality at all, so it’s difficult to feel any emotion when she loses or finds him. This loss of more fully realized characterization seems to happen for two reasons: the book’s style and its length. 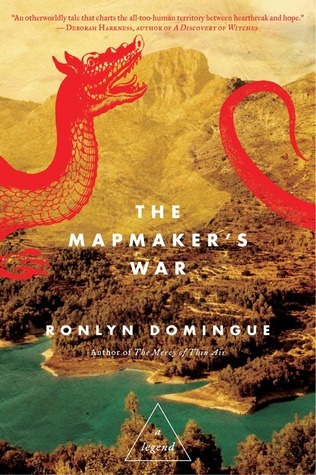 The Mapmaker’s War is a memoir of sorts, framed as Aoife-the-elderly telling herself her own life’s story. Very unfortunately, this means the author wrote the book in the second person, and without quotation marks for any dialogue: “A fantastic tale you must know, said he. We’ll see, you said. So it’s story-time for you, said he. Raef shouted, Enter.” While this does add an air of exoticism to the tale, it also serves to distance the reader rather than connect us to Aoife. Because she is an old woman admonishing herself for past mistakes and glossing over details she doesn’t deem important, so much of this magical story is lost to us. We see almost nothing of characters not immediately interacting with Aoife, and most of them appear only in passing. Worse, we see almost none of the titular war, which should be a huge part of the plot. And because she is telling us her entire life story, from very small girlhood into her elderly years, so much is raced over that there isn’t any real plot or build-up to a climax. Things happen, time marches on. It’s hard to become engaged in the events at hand. Second, this book should have been at least a hundred pages longer. So much is barely touched on that I wanted to know more about. This isn’t just a case of “draw your own conclusions.” Big gaps in the plot, especially with regard to the war, feel totally unfinished. As a minor quibble, I also felt a bit ripped off at the lack of maps in a book about a mapmaker. There are lovely simple drawings that appear throughout to illuminate the text, but there are no maps. It seems like a missed opportunity. Still, Aoife is a strong, troubled, interesting female lead, and the book has interesting things to say about gender, motivation, and love. The magic is quite real when it appears through the obfuscating second person narrative and strained, formal voice. Had it been given more room to unfold, and had it been told in a first person, this book could have been brilliant. As it is, it’s an interesting, frustrating read infused with intense moments of pain and beauty. Find it at Amazon, Indigo, and at fine independent bookstores everywhere via IndieBound. Next postIt’s coming. . .